Capturing names on websites is a given – isn’t it? 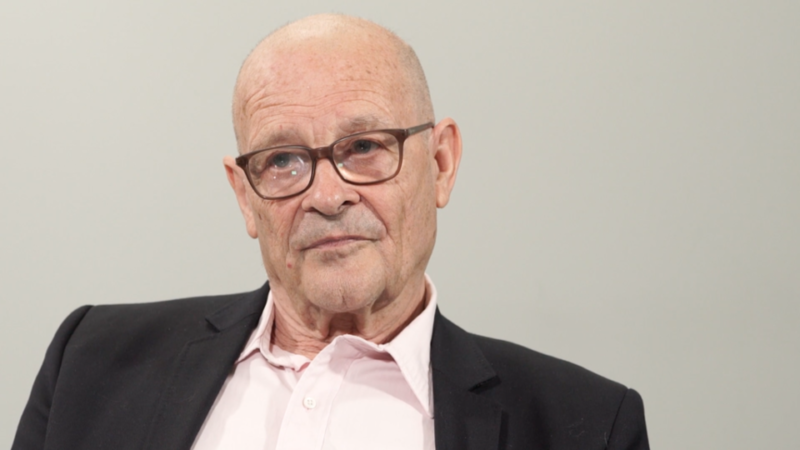 In this lesson, advertising legend, Drayton Bird, voices his views on what marketers should be doing today in order to build an effective list. Grant Leboff: Drayton, One of the things you mentioned was the importance of capturing names on a website, one of its major functions. Brings me on to talking about generally this idea of building lists. Of course, we live in a world now which is more data rich than ever before. What’s your views on what marketers should be doing today in order to build a new list effectively. 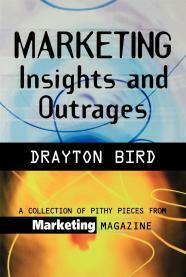 Drayton Bird: In order to build lists they should do what people have always had to do to build lists. I keep on start writing things and I’ve got a little note on my computer about the fact that marketing, essentially, hasn’t changed. I talked earlier on about Claude Hopkins and the way that he built a list of prospects which he could offer a free sample. Then he could take that list and he could go to the retailers and say look we’ve got all these customers for you. There’s nothing new about building a list. What’s new is the techniques that are open to you to build lists. The importance of a list … David Ogilvy, as usual, put it very well. He said, “You can’t save souls in an empty church.” You can’t sell stuff to nobody. So building a list, probably, after finding something better to sell, is just about the most important thing you can do. The thing I didn’t mention, by the way when I was talking about lists and I should be shot, about the five things that really matter. One is research, finding out research, that’s by the by. You can’t save souls in an empty church so you have to build a list. How do you go about building a list? In exactly the same way that Clause Hopkins advocated when he wrote in one of his chapters. I don’t know how many people here have read ‘Scientific Advertising’ which is forty-eight pages long. 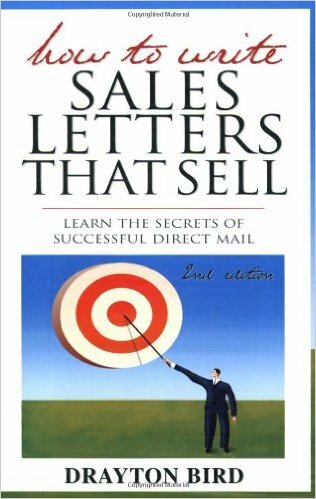 The best book ever written about marketing. I must have read it twenty or thirty times. Written in 1924, still the best thing on marketing. He says, “Make an offer so good that only an idiot would refuse.” I actually wrote it to one of my people yesterday because I work on Sundays. Other people pray, I pray nothing will go wrong. Anyhow, make an offer so good that only an idiot would refuse, so you look for the best offer you can possible make. But make sure that once you’ve got those names, you follow them up and never ever assume that because they don’t reply the first time they’re not interested. There are many, many people, you may have their names, they may not be interested. If you’re selling something very expensive it may take 2 years before somebody replies. I had an email yesterday from a famous marketer who was talking about maybe doing some work together. He said, “I remember we talked about this a year ago.” We’re just getting round to it, yeah. If you’ve got something really expensive or something highly technical, often the same thing, it may take a long time for people to get around to replying. Grant Leboff: Doesn’t work, yeah? Drayton Bird: Not necessarily. I had more than one client actually. He was Chinese. He said to me, “I don’t know what to do.” He said, “Business is drying up.” He was always going broke. He would always buy me a meal instead of paying me. I said to him, “How many leads have you got that haven’t sold?” He said, “A thousand.” I can’t remember, maybe two thousand. He said, “Well, we chase them all and they haven’t bought.” I said, “Well, I’ll write a letter for you and I think you’ll sell some pools.” He went to his wife who of course was the boss and said, “You’re not squandering money on writing to these people who have already said they’re not interested.” Eventually persuaded his wife, Grace, to run a letter and we sold three swimming pools that kept him afloat for a year because they were expensive. He’d assumed because people didn’t reply they weren’t interested. There are many reason why people may not be interested. Grant Leboff: When you’ve got a long sale cycle so when you are selling expensive swimming pools or business school places or whatever which they’re expensive, they’re considered purchases, people think about it, how do test and measure? If you know straight away that it’s a longer sales cycle than selling something of a lesser value, then how do you start to be able to test and measure when you’re making those offers? 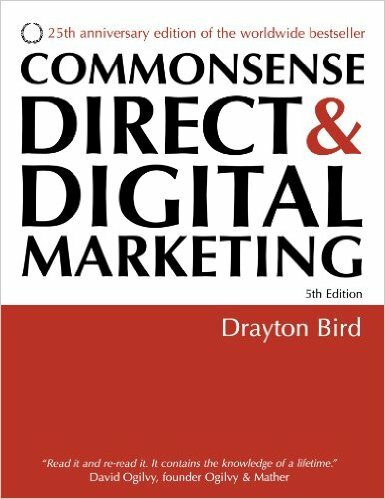 Drayton Bird: Obviously, you do split run things which is very easy to do on the internet and you have to have patience. I cannot bring two years from now closer but if you don’t start now, you’re never going to get there. What happens is that people say, this is what people do, “Oh, it’s going to take a long time, let’s not bother.” I’m doing a talk in Bulgaria in about a month and I’m going to talk about things like that. I just know that most of the people will, “We haven’t got time to do that…” The business school, I heard from yesterday when I was coming down here, I know they’re not going to do the best creative they could. They’re not going to do the best creative they could because they know better than me. They know that my long letter is not going to work. I know that my long letters that I wrote for Insead a few years ago, pulled like an express train. It was four pages long to people running companies. If it’s interesting enough, anyone will read it. You’ve just got to start now and be patient. If you don’t start now, forget it. You can carry on wandering around in the wasteland of ignorance forever. Guessing it might work or my friends like it or my mother likes it, whatever. Great talks from Drayton, I learn so much from this guy.